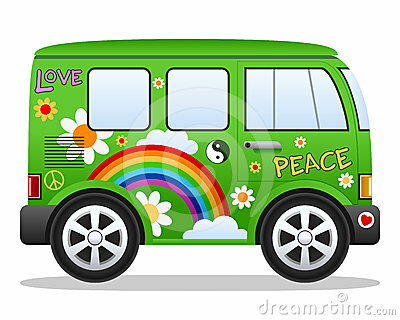 Cartoon retro green hippie van with rainbow, clouds and flowers, isolated on white background. Eps file available. Hippie car with clouds seamless pattern. The hippie bus, watercolor illustration isolated on white. van style hippie icon with long shadow.